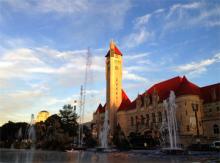 Saint Louis, Missouri has a lot to offer its residents, tourists, and staycationers. Whether you want to go sightseeing, try out new restaurants, or check out the nightlife, this major city is an entertainment hub for people of all ages. 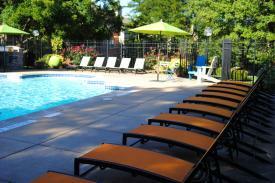 St. Louis Corporate Housing offers the best in an corporate apartments for the St. Louis area. 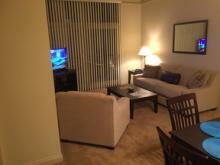 Our accommodations include fully furnished, one, two and three bedroom corporate apartments. We service the entire St. Louis Area, including Clayton, Chesterfield, Creve Coeur, Maryland Heights, and both O'Fallon Missouri & O'Fallon Illinois. 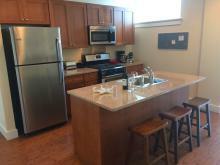 Each corporate apartment comes complete with all furniture and all utilities paid. Our pricing for corporate housing St Louis is all inclusive: you pay one, low price for everything, with no taxes like hotels. Furnished corporate housing societies and furnished apartments in the US are increasingly being constructed owing to its high demand from citizens, especially military personnel, government officers, and corporate executives. These people prefer to live in corporate housing schemes because of high packaging services offered by real estate entities. In the past decade, such a concept of corporate housing was not existent and instead, people merely could get inhabitancy in residential projects. Corporate housing accommodations in the US area source of temporary stay and short-term living rentals. Any person can find furnished corporate housing anywhere in the country. The corporate houses comprise of the largest private as well as public-owned housing corporations. Sometimes work requires y to get up and go without much time to prepare, nonetheless get to know the area we’re heading to. Thankfully, corporate housing is a cost-effective way for companies to send their employees around the country without much leg work. 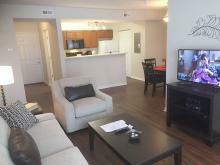 Our St. Louis corporate apartments come fully furnished to minimize the stress of relocating on short notice. That being said, there are few best practices you should keep in mind when planning your trip. When is the last time you stayed in a hotel or extended stay facility and got everything you wanted? Hotels aren’t designed to provide a highly personalized experience. Since the average length of stay in a hotel is a few days or less, it doesn’t make sense for them to spend time investing in added luxuries. It’s a perfect short-term solution, but it doesn’t offer much flexibility to someone who plans to stay for a longer period of time. Corporate housing has a wide variety of benefits for someone in search of a short-term lease. If you’re planning an extended trip to Saint Louis, you area probably trying to figure out how much everything is going to cost you. One day-to-day expense that can add up is quickly is your meals. Whether you are ordering room service or eating out frequently, the cost of your trip can raise quickly when your dining options are limited. St. Louis Corporate Housing has been growing in popularity because it offers more flexibility than a traditional hotel room. You get a voice in choosing the size of the apartment, the type of layout you would like, and the location. - We service ONLY the St. Louis area. Traveling For Business? Relocating? Insurance Related Needs? Separation/Divorce? We Can Help. 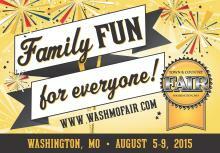 • Business travelers needing a temporary home, for long or short term, in St. Louis. We provide everything that you need in a home away from home. • Relocations: whether you're relocation for business or other needs, we provide you with a safe, comfortable home while you become familiar with the area and search for your permanent residence. Some of our clients even decide to stay at our locations! Read more about Traveling For Business? Relocating? Insurance Related Needs? Separation/Divorce? We Can Help. What is the Price for the Least Expensive, Fully Furnished Apartments that St. Louis Corporate Housing has? St. Louis Corporate Housing has availability at hundreds of apartments throughout the St. Louis and Southern Illinois region. Our least expensive units for a short-term rental start at $1,950 right now, for a one-bedroom, one-bathroom unit. If you can sign a one-year lease, we can get a lower rate. People ask me all the time about being able to reduce our pricing, but we are typically the least expensive, fully furnished apartment option in the St. Louis region. Our pricing is mostly based on what apartments charge us. Read more about What is the Price for the Least Expensive, Fully Furnished Apartments that St. Louis Corporate Housing has? We received multiple inquiries every day, where people have Googled 'corporate housing St. Louis' or 'St. Louis Corporate Housing' and have landed on our site. These visitors are looking for temporary, furnished corporate apartments for short or long term stays in the St. Louis area. Several times a day, I'm asked for leases that are less than one month. So the question is: 'What is the shortest lease that St. Louis Corporate Housing will do?' The short answer is: one month. What is the Best Way to Contact St. Louis Corporate Housing? We receive request for the types of corporate housing that St. Louis Corporate Housing can provide from several avenues, but the most widely-used methods of contact are the forms on our website. Read more about What is the Best Way to Contact St. Louis Corporate Housing? Unfamiliar with St. Louis? Please Let us Know! The various types of corporate housing St. Louis has to offer provides a wide range of possiblities. Areas of town, properties, amenities, convenience, and area attractions are but a small portion of the things to consider when you're looking for fully furnished apartments for a short - or long term - stay in St. Louis. Our customers include individuals and companies who have vastly different levels of experience with our city. Read more about Unfamiliar with St. Louis? Please Let us Know! Corporate housing leasing has many benefits over hotel rentals, extended stay facilities, and random fully furnished aparments. It’s all set: you are going to be living and/or working in St. Louis for a while. You have the address of your place of business, you know what section of town you’re going to be working in… but you do not have any clue as to where you should live during that time. Your stay is too long to justify paying for a hotel the entire time (and aren’t most employers always searching for ways to save money? ); you do not intend to make the move permanent, so you don’t want to sign a long-term lease. Perhaps, you are coming to stay for a few months to visit family you have not seen in ages. St. Louis is a great place to be in November! According to David O’Brien for About Travel, some things you may want to do in St. Louis in November might include the St. Louis International Film Festival, Nov. 5-15, where you can participate in discussions with the filmmakers after the films show. Lend your time to a food bank by participating in the annual Cranksgiving bike ride celebration on Nov. 8, and on Thanksgiving, what’s more fun than a parade? We realize that you have a lot of choices when it comes to your corporate housing needs when you're staying in St. Louis. We also realize that there are several, large, national companies that cover the entire US with the same basic service. But bigger is not always better. What are the MOST central locations in St. Louis? 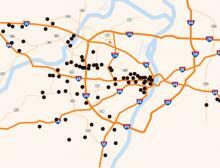 Read more about What are the MOST central locations in St. Louis? Gringo's in the Central West End is a hit! Had the Fam out to dinner at Gringo's last night - and it was - muchas bueno! (Ok - we really are Gringo's aren't we?) Anywho, I got the Ray Mysterio Jr. with carnitas (yum) as did EV. Sticks got the Eddie Guerrero (wet) and CJ got the Veggie Torta (ever the purest...) All were pleased with the meal and the service. Gringo Margarita is good, but not huge, and for $6.50 each, it's kinda pricy. Especially when you have 12. (Kidding!) Gringo fries are also good, as were the chips (green sauce - good, red, not as much). Read more about Gringo's in the Central West End is a hit! As with any city anywhere in the world, if you're born and raised there, you're going to know that town better than someone who wasn't. One of the biggest benefits of working with St. Louis Corporate Housing, is that every one of our associates is a St. Louis native. So we're not only knowledgeable about restaurants, shopping, sports and entertainment venues etc., but we can offer an insiders-view of the pulse of what's going on in the St. Louis area. 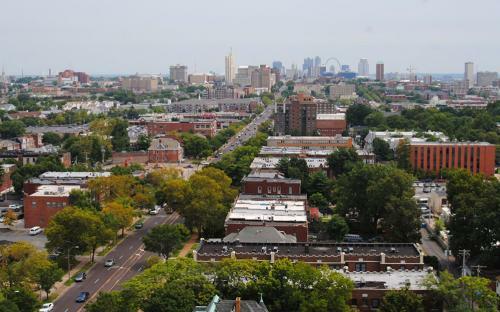 The history of St. Louis also plays a big part in it's future, and St.